Rev. Dr. Martin Luther King, Jr., twentieth-century America's most compelling and effective civil rights leader, was born on January 15, 1929, in Atlanta, Georgia. After entering Morehouse College at age fifteen, King followed his father and grandfather into the Baptist ministry. He received a bachelor of divinity from Crozer Theological Seminary in 1951 and a Ph.D from Boston University in 1955. 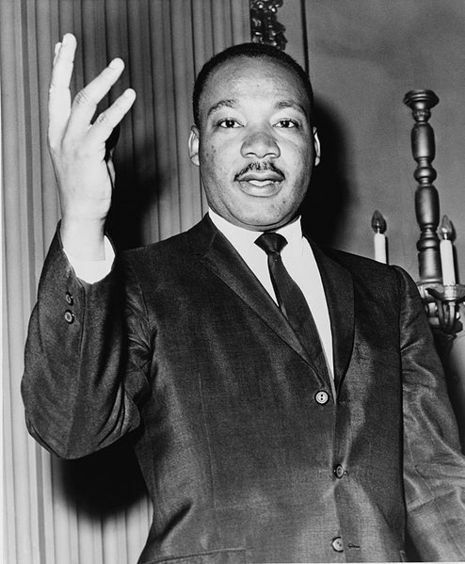 King entered the civil rights movement in 1955. A young, newly married pastor of a Montgomery, Alabama church, he was asked to lead a bus boycott aimed at ending segregation of public transport in Montgomery. The boycott, initiated by Rosa Parks' refusal to surrender her bus seat to a white passenger, lasted over a year and resulted in the desegregation of the city's busses. A founder of the Southern Christian Leadership Conference, King advocated non-violent action as a means of lifting racial oppression. 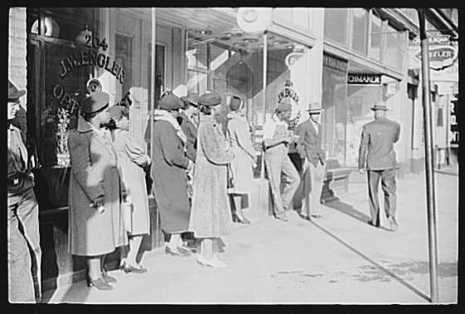 Sit-ins, marches, and peaceful demonstrations highlighted issues of inequality. The commitment and moral integrity of activists who remained calm in the face of violent opposition inspired national admiration. Jailed during an Alabama campaign to abolish segregated lunch counters, King delineated his philosophy of nonviolence in the now famous "Letter From the Birmingham Jail." Martin Luther King, Jr. (January 15, 1929 – April 4, 1968), was an American clergyman, activist and prominent leader in the African-American civil rights movement. His main legacy was to secure progress on civil rights in the United States and he is frequently referenced as a human rights icon today. King is recognized as a martyr by two Christian churches. A Baptist minister, King became a civil rights activist early in his career. He led the 1955 Montgomery Bus Boycott and helped found the Southern Christian Leadership Conference in 1957, serving as its first president. King's efforts led to the 1963 March on Washington, where King delivered his "I Have a Dream" speech. There, he raised public consciousness of the civil rights movement and established himself as one of the greatest orators in U.S. history.